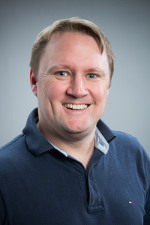 Dr. Craig Anslow is a Lecturer (Assistant Professor) in Software Engineering within the School of Engineering and Computer Science at Victoria University of Wellington. Craig also teaches a course on the MSc in Software Engineering Programme within the Department of Computer Science at the University of Oxford, UK. Craig was a Senior Research Fellow in the Interaction Design Centre within the Department of Computer Science at Middlesex University, London, UK working on the EU FP7 VALCRI project (criminal intelligence). Craig was a Postdoctoral Research Fellow in the Agile Software Engineering Research Group within the Department of Computer Science at the University of Calgary, Canada working with Professor Frank Maurer. Craig received a PhD in Software Engineering from the School of Engineering and Computer Science at Victoria University of Wellington, New Zealand in 2013 and was supervised by James Noble, Stuart Marshall, and Robert Biddle. Piror to that Craig worked as a software developer in Wellington and Palo Alto, CA, USA for various organizations. I have/had the privilege to work with many talented and excellent students. Ralph Reithmeier, MSc, Data Visualization to Analyse Industrial Requirements Engineering Practices and Problems (co-supervised with Daniel Mendez, Technical University of Munich, Germany) 2018. Nathan Newton, Craig Anslow, and Andreas Drechsler. To Appear Information Security in Agile Software Development Projects: A Critical Success Factor Perspective. In Proceedings of the European Conference on Information Systems (ECIS), Stockholm, Sweden, 2019. Brendan Julian, James Noble, and Craig Anslow. To Appear Agile Practices in Practice: Towards a Theory of Agile Adoption and Process Evolution. In Proceedings of the International Conference on Agile Software Development (XP), Montreal, Canada, 2019. Torrey Powell and Craig Anslow. To Appear Joining the Mob at Clearlink. In Proceedings of the International Conference on Agile Software Development (XP), Montreal, Canada, 2019. Jack Purvis, Craig Anslow, and James Noble. CJing Practice: Combining Live Coding and VJing. In Proceedings of the International Conference on Live Coding (ICLC), Madrid, Spain, 2019. Leonel Merino, Mohammad Ghafari, Craig Anslow, and Oscar Nierstrasz. A Systematic Literature Review of Software Visualization Evaluation. In Journal of Systems and Software (JSS), 2018. Karsten Lundqvist, Craig Anslow, Michael Homer, Kris Bubendorfer, and Dale Carnegie. An Agile Conversion Masters Degree Programme in Software Development. In Proceedings of the ACM Special Interest Group on Computer Science Education (SIGCSE), Baltimore, Maryland, USA, 2018. Martin Kropp, Andreas Meier, Craig Anslow, and Robert Biddle. Satisfaction, Practices, and Influences in Agile Software Development. In Proceedings of the International Conference on Evaluation and Assessment in Software Engineering (EASE), Christchurch, New Zealand, 2018. Aaron Pang, Craig Anslow, and James Noble. What Programming Languages Do Developers Use? A Theory of Static vs Dynamic Language Choice. In Proceedings of the IEEE Symposium on Visual Languages and Human-Centric Computing (VL/HCC), Lisbon, Portugal. David Baum, Jens Dietrich, Craig Anslow, and Richard Muller. Visualizing Design Erosion: How Big Balls of Mud are Made. In Proceedings of the IEEE Working Conference on Software Visualization (VISSOFT), Madrid, Spain, 2018. Mahshid Marbouti, Craig Anslow, and Frank Maurer. Evaluation Results for a Social Media Analyst Reporting Tool. In Proceedings of the ACM International Conference on Information Systems for Crisis Response and Management (ISCRAM), Rochester, New York, USA, 2018. Andreas Meier, Martin Kropp, Craig Anslow, and Robert Biddle. Stress in Agile Software Development: Practices and Outcomes. In Proceedings of the International Conference on Agile Software Development (XP), Porto, Portugal, 2018. Robert Biddle, Andreas Meier, Martin Kropp, and Craig Anslow. Poster: Sources of Satisfaction in Agile Software Development. In Proceedings of the IEEE/ACM International Conference on Software Engineering (ICSE), Gothenburg, Sweden, 2018. Robert Biddle, Andreas Meier, Martin Kropp, and Craig Anslow. MyAgile: Sociological and Cultural Effects of Agile on Teams and their Members. In Proceedings of the International Workshop on Cooperative and Human Aspects of Software Engineering (CHASE) at ICSE, Gothenburg, Sweden, 2018. Leonel Merino, Johannes Fuchs, Michael Hund, Craig Anslow, Mohammad Ghafari, Oscar Nierstrasz, Michael Behrisch, and Daniel Keim. On the Impact of the Medium in the Effectiveness of 3D Software Visualizations. In Proceedings of the IEEE Working Conference on Software Visualization (VISSOFT), Shanghai, China, 2017. Leonel Merino, Mohammad Ghafari, Craig Anslow, and Oscar Nierstrasz. CityVR: Gameful Software Visualization. In Proceedings of the IEEE International Conference on Software Maintenance and Evolution (ICSME), Shanghai, China, 2017. SM Sohan, Craig Anslow, Frank Maurer, and Martin Robillard. A Study of the Effectiveness of Usage Examples in REST API Documentation. In Proceedings of the IEEE Symposium on Visual Languages and Human-Centric Computing (VL/HCC), Raleigh, North Carolina, USA, 2017. Ben Selwyn-Smith, Michael Homer, and Craig Anslow. Towards Collaborative Block-Based Programming on Digital Tabletops. In Proceedings on the Workshop on Lessons and Directions for First Programming Environments (Blocks and Beyond), Raleigh, North Carolina, USA, 2017. James Wallace, Steven Houben, Craig Anslow, Andres Lucero, Yvonne Rogers, and Stacey Scott. Workshop on Disappearing Tabletop Social and Technical Challenges for Cross-Surface Collaboration. In Proceedings of the ACM International Conference on Interactive Surfaces and Spaces (ISS), Brighton, UK, 2017. Craig Anslow and B. L. William Wong. Effects of the Display Angle and Physical Size on Large Touch Displays in the Work Place. In Proceedings of the ACM International Conference on Interactive Surfaces and Spaces (ISS), Brighton, UK, 2017. SM Sohan, Craig Anslow, and Frank Maurer. Automated Example Oriented REST API Documentation at Cisco. In Proceedings of the ACM/IEEE International Conference on Software Engineering (ICSE) - Software Engineering in Practice (SEIP) Track, Buenos Aires, Argentina, 2017. Angela Martin, Craig Anslow, and David Johnson. Teaching Agile Methods to Software Engineering Professionals: 10 Years, 1000 Release Plans. In Proceedings of International Conference on Agile Software Development (XP), Cologne, Germany, 2017. Martin Kropp, Craig Anslow, and Magdalena Mateescu. Enhancing Agile Team Collaboration Through the Use of Large Digital Multi-Touch Cardwalls. In Proceedings of International Conference on Agile Software Development (XP), Cologne, Germany, 2017. Craig Anslow, John Brosz, Mike Boyes, and Frank Maurer. Datathons: An Experience Report of Data Hackathons for Data Science Education. In Proceedings of ACM Special Interest Group on Computer Science Education (SIGCSE), Memphis, Tennessee, USA, 2016. Celeste Groenewald, Craig Anslow, Junayed Islam, Chris Rooney, and William Wong. Understanding Mid-Air Hand Gestures for Interactive Surfaces and Displays: A Systematic Literature Review. In Proceedings of the British Human Computer Interaction Conference (BritishHCI), Bournemouth, UK, 2016. Rahul Bhaskar, Craig Anslow, John Brosz, and Frank Maurer. Developing Usable APIs with XP and Cognitive Dimensions. In Proceedings of the IEEE Symposium on Visual Languages and Human-Centric Computing (VL/HCC), Cambridge, UK, 2016. Junayed Islam, Craig Anslow, Kai Xu, William Wong, and Leishi Zhang. Towards Analytical Provenance Visualization for Criminal Intelligence Analysis. In Proceedings of the EGUK Conference on Computer Graphics & Visual Computing (CGVC), Bournemouth, UK, 2016. Mahshid Marbouti, Rahul Bhaskar, Zahra Shakeri, Craig Anslow, Leland Jackson, and Frank Maurer. WaterVis: GeoVisual Analytics for Exploring Hydrological Data. In Proceedings of the International Symposium on Big Data Management and Analytics (BIDMA), Calgary, Canada, 2016. Craig Anslow, Stuart Marshall, James Noble, and Robert Biddle. Hacking with Multi-touch for Java (MT4j). In Proceedings of the International Workshop on Mobile Development (Mobile! ), Amsterdam, The Netherlands, 2016. Patrick Lambrix, Zlatan Dragisic, Valentina Ivanova, and Craig Anslow. Visualization for Ontology Evolution. In Proceedings of the International Workshop on Visualization and Interaction for Ontologies and Linked Data (VOILA), Kobe, Japan, 2016. Craig Anslow, Pedro Campos, and Joaquim Jorge (Book Editors). Introduction to Collaboration Meets Interactive Spaces (CMIS). Collaboration Meets Interactive Spaces (CMIS) Book. Springer, 2016. Martin Kropp, Judith Brown, Craig Anslow, Magdalena Mateescu, and Robert Biddle. Interactive Digital Cardwalls for Agile Software Development. Chapter in Collaboration Meets Interactive Spaces (CMIS) Book, Springer, 2016. Alexander Nolte, Ross Brown, Craig Anslow, and Artem Polyvyanyy. Collaborative Process Modeling in Multi-surface Environments. Chapter in Collaboration Meets Interactive Spaces (CMIS) Book, Springer, 2016. Edwin Chan, Craig Anslow, Teddy Seyed, and Frank Maurer. Envisioning the Emergency Operations Centre of the Future. Chapter in Collaboration Meets Interactive Spaces (CMIS) Book, Springer, 2016. Craig Anslow, Thomas LaToza, and Joshua Sunshine. Proceedings of the Workshop on Evaluation and Usability of Programming Languages and Tools (PLATEAU), at the ACM Conference on Systems Programming Languages and Applications: Software for Humanity (SPLASH), Amsterdam, The Netherlands, 2016. Craig Anslow, Pedro Campos, Andres Lucero, Laurent Grisoni, Mirjam Augstein, and James Wallace. Proceedings of the Workshop on Collaboration Meets Interactive Surfaces and Spaces (CMIS): Walls, Tables, Mobiles, and Wearables, at the ACM Conference on Interactive Surfaces and Spaces (ISS), Niagara Falls, Canada, 2016. Craig Anslow and Frank Maurer. An Experience Report at Teaching Group Based Agile Software Engineering Teams. In Proceedings of the ACM Special Interest Group on Computer Science Education (SIGCSE), Kansas City, Missouri, USA, 2015. Nathan Hawes, Stuart Marshall, and Craig Anslow. CodeSurveyor: Mapping Large-Scale Software to Aid in Code Comprehension. In Proceedings of the IEEE Working Conference on Software Visualization (VISSOFT), Bremen, Germany, 2015. SM Sohan, Craig Anslow, and Frank Maurer. SpyREST: Automated RESTful API Documentation using an HTTP Proxy Server. In Proceedings of the IEEE/ACM International Conference on Automated Software Engineering (ASE), Lincoln, Nebraska, USA, 2015 (New Ideas). SM Sohan, Craig Anslow, and Frank Maurer. SpyREST in Action: An Automated RESTful API Documentation Tool. In Proceedings of the IEEE/ACM International Conference on Automated Software Engineering (ASE), Lincoln, Nebraska, USA, 2015 (Tool Demo). SM Sohan, Craig Anslow, and Frank Maurer. A Case Study of the Evolution of Web APIs. In Proceedings of the IEEE International Conference on Services Computing (SERVICES), New York, USA, 2015. Leliel Trethowen, Craig Anslow, Stuart Marshall, and Ian Welch. VisRAID: Visualizing Remote Access for Intrusion Detection. In Proceedings of the Australasian Conference on Information Security and Privacy (ACISP), Brisbane, Australia, 2015. Elmer van Chastelet, Eelco Visser, and Craig Anslow. Conf.Researchr.Org: Towards a Domain-Specific Content Management System for Managing Large Conference Websites. In Proceeding of the ACM SIGPLAN Conference on Systems, Programming, Languages and Applications: Software for Humanity (SPLASH), Pittsburgh, Pennsylvania, USA, 2015 (Poster). Thomas LaToza, Craig Anslow, Joshua Sunshine. Proceedings of the Workshop on Evaluation and Usability of Programming Languages and Tools (PLATEAU), at the ACM Conference on Systems Programming Languages and Applications: Software for Humanity (SPLASH), Pittsburgh, PA, USA, 2015. Craig Anslow, Pedro Campos, Andres Lucero, and Laurent Grisoni. Proceedings of the Workshop on Collaboration Meets Interactive Surfaces (CMIS): Walls, Tables, Mobiles, and Wearables, at the ACM Conference on Interactive Tables and Surfaces (ITS), Funchal, Madeira, 2015. Zahra Shakeri, Craig Anslow, and Frank Maurer. Multi-Surface Interactions with Geo-spatial Data: A Systematic Review. In Proceedings of the ACM Symposium on Interactive Tabletops and Surfaces (ITS), Dresden, Germany, 2014. Julia Paredes, Craig Anslow, and Frank Maurer. Information Visualization for Agile Software Development Teams. In Proceedings of the IEEE International Working Conference on Software Visualization (VISSOFT), Victoria, BC, Canada, 2014. Craig Anslow, Brian Jackel, Khalid Mehmood, Paul Fairie, Adam D'Souza, Michael Underwood, Katherine Teh, and Nima Safaian. Towards Visually Understanding Commuter Behaviour. In Proceedings of the IEEE VIS Workshop on BusinessVisualization (BusinessVis), Paris, France, 2014. Rahul Kamal Bhaskar, Mahshid Marbouti, Julia Paredes, Waliur Rahmann, Ostap Orobets, Amir Karbalaei, Xuezhang Xu, Craig Anslow, and Frank Maurer. LibraryVis: Towards Understanding Library Resource Usage. In Proceedings of the IEEE VIS Workshop on BusinessVisualization (BusinessVis), Paris, France, 2014. Rahul Kamal Bhaskar, Julia Paredes, Zahra Shakeri, Zahra Sahaf, Haleh Alemasoom, and Craig Anslow. VACI: Towards Visual Analytics for Criminal Investigation. In Proceedings of the IEEE Visual Analytics Science and Technology (VAST) Challenge, Paris, France, 2014. Zahra Sahaf, Haleh Alemasoom, Rahul Kamal Bhaskar, Julia Paredes, Zahra Shakeri, and Craig Anslow. TrackVis: A Visualization Tool for Analyzing Movement and Tracking Data of Criminal Activities. In Proceedings of the IEEE Visual Analytics Science and Technology (VAST) Challenge, Paris, France, 2014. Craig Anslow. Reflections on Collaborative Software Visualization in Co-located Environments. In Proceedings of the Postdoctoral Symposium at IEEE International Conference on Software Maintenance and Evolution (ICSME), Victoria, BC, Canada, 2014. Joshua Sunshine, Thomas LaToza, and Craig Anslow. Proceedings of the Workshop on Evaluation and Usability of Programming Languages and Tools (PLATEAU), at the ACM Conference on Systems Programming Languages and Applications: Software for Humanity (SPLASH), Portland, OR, USA, 2014. Craig Anslow, Pedro Campos, Alfredo Ferreira. Proceedings of the Workshop on Collaboration Meets Interactive Surfaces: Walls, Tables, Tablets, and Phones (CMIS), at the ACM Conference on Interactive Tables and Surfaces (ITS), Dresden, Germany, 2014. Craig Anslow, Stuart Marshall, James Noble, and Robert Biddle. SourceVis: Collaborative Software Visualization for Co-Located Environments. In Proceedings of the IEEE International Working Conference on Software Visualization (VISSOFT), Eindhoven, The Netherlands, 2013. Craig Anslow, Stuart Marshall, James Noble, Robert Biddle. Exploring Collaborative Software Visualization with Multi-touch Tables. In Proceedings of the Workshop on Collaboration meets Interactive Surfaces: Walls, Tables, Tablets, and Phones at the at the ACM International Conference on Interactive Tabletops and Surfaces (ITS), St Andrews, Scotland, 2013. Craig Anslow. Collaborative Software Visualization in Co-located Environments. (PhD Thesis) School of Engineering and Computer Science, Victoria University of Wellington, 2013. Craig Anslow, Stuart Marshall, James Noble, and Robert Biddle. Interactive Multi-touch Surfaces for Software Visualization. In Proceedings of the Workshop on Data Exploration for Interactive Surfaces (DEXIS) at the ACM International Conference on Interactive Tabletops and Surfaces (ITS), Kobe, Japan, 2011. Craig Anslow, Stuart Marshall, James Noble, and Robert Biddle. SourceVis: A Tool for Multi-touch Software Visualization. In Proceedings of the International Conference on Interactive Tabletops and Surfaces (ITS), Kobe, Japan, 2011. Keith Cassell, Craig Anslow, Lindsay Groves, Peter Andreae. Visualizing the Refactoring of Classes via Clustering. In Proceedings of the Australasian Computer Science Conference (ACSC), Perth, Australia, 2011. Shane Markstrum, Emerson Murphy-Hill, Craig Anslow. Proceedings of the Workshop on Evaluation and Usability of Programming Languages and Tools (PLATEAU), at SPLASH, Portland, OR, USA, 2011. Craig Anslow, James Noble, Stuart Marshall, Ewan Tempero, and Robert Biddle. User Evaluation of Polymetric Views Using a Large Visualization Wall. In Proceedings of the ACM Symposium on Software Visualization (SoftVis), Salt Lake City, UT, USA, 2010. Haowei Ruan, Craig Anslow, Stuart Marshall, and James Noble. Exploring the Inventor's Paradox: Applying Jigsaw to Software Visualization. In Proceedings of the ACM Symposium on Software Visualization (SoftVis), Salt Lake City, UT, USA, 2010. Craig Anslow, Stuart Marshall, James Noble, and Robert Biddle. Co-located Collaborative Software Visualization. In Proceedings of the Workshop on Human Aspects of Software Engineering (HAoSE2010) at SPLASH,Reno/Tahoe, Nevada, USA, 2010. Craig Anslow. Multi-touch Table User Interfaces for Co-located Collaborative Software Visualization. In Proceedings of the Doctoral Symposium at the ACM International Conference on Interactive Tabletops and Surfaces (ITS), Saarbrucken, Germany, 2010. Craig Anslow, James Noble, Stuart Marshall, and Ewan Tempero. Visualizing the Size of the Java Standard API. In Proceedings of the New Zealand Computer Science Research Students Conference (NZCSRSC), Wellington, New Zealand, 2010. Emerson Murphy-Hill, Shane Markstrum, Craig Anslow. Proceedings of the Workshop on Evaluation and Usability of Programming Languages and Tools (PLATEAU), at SPLASH, Reno, NV, USA, 2010. Craig Anslow, Shane Markstrum and Emerson Murphy-Hill. Proceedings of the Workshop on Evaluation and Usability of Programming Languages and Tools (PLATEAU), at OOPSLA, Orlando, FL, USA, 2009. School of Engineering and Computer Science, Technical Report, ECSTR10-12, 2010. Keith Cassell, Craig Anslow, Lindsay Groves, and Peter Andreae. Visualizing Class Refactoring via Clustering. School of Engineering and Computer Science, Technical Report, ECSTR10-17, 2010. Craig Anslow and Stuart Marshall. Proceedings of the Workshop on Visual Analytics in Software Engineering (VASE), at ASE, Auckland, New Zealand. 2009. School of Engineering and Computer Science, Technical Report, ECSTR10-11, 2010. John Rankin, Craig Anslow, James Noble, Donald Gordon, and Brenda Chawner. Wikipublisher: A Print-on-Demand Wiki. In the Proceedings of the International Symposium on Wikis and Open Collaboration (WikiSym), Orlando, FL, USA, 2009. Craig Anslow, James Noble, Stuart Marshall, and Ewan Tempero. Towards Visual Software Analytics. In Proceedings of the Australasian Computing Doctoral Consortium (ACDC), Wellington, New Zealand, 2009. Craig Anslow and Dirk Riehle. Towards End-User Programming with Wikis. In Proceedings of the Workshop on End-User Software Engineering (WEUSE), at IEEE International Conference on Software Engineering (ICSE), Leipzig, Germany, 2008. Craig Anslow, James Noble, Stuart Marshall, and Ewan Tempero. Towards End-User Web Software Visualization. In Proceedings of the Graduate Consortium at the IEEE Symposium on Visual Languages and Human Centric Computing (VLHCC), Herrsching am Ammersee, Germany, 2008. Craig Anslow and Don Brutzman Interactive Introduction to X3D Graphics. In Proceedings of the European Association for Computer Graphics (Eurographics), Crete, Greece, 2008. Craig Anslow, James Noble, Stuart Marshall, and Ewan Tempero. Visualizing the Word Structure of Java Class Names. In Companion to the ACM SIGPLAN International Conference on Object-Oriented Programming, Systems, Languages, and Applications (OOPLSA), Nashville, Tennessee, USA, 2008. Craig Anslow, James Noble, Stuart Marshall, and Robert Biddle. Web Software Visualization Using Extensible 3D (X3D) Graphics. In Proceedings of the ACM Symposium on Software Visualization (SoftVis), Herrsching am Ammersee, Germany, 2008. Bennett Thompson, David J. Pearce, Gary Haggard, and Craig Anslow. Visualizing the Computation Tree of the Tutte Polynomial. In Proceedings of the ACM Symposium on Software Visualization (SoftVis), Herrsching am Ammersee, Germany, 2008. Craig Anslow. Evaluating Extensible 3D (X3D) Graphics For Use in Software Visualisation. (Masters Thesis) School of Mathematics, Statistics and Computer Science, Victoria University of Wellington, 2008. Craig Anslow and Dirk Riehle. Lightweight End-User Programming with Wikis. In Proceedings of the Workshop on Wikis for Software Engineering, at WikiSym, Montreal, Canada, 2007. Craig Anslow, Stuart Marshall, James Noble, and Robert Biddle. X3D Software Visualization. In Proceedings of the New Zealand Computer Science Research Students Conference (NZCSRSC), Hamilton, New Zealand, 2007. Craig Anslow, James Noble, Stuart Marshall, and Robert Biddle. X3D Web Software Visualization in Action!. In Companion to the ACM SIGPLAN International Conference on Object-Oriented Programming, Systems, Languages, and Applications (OOPSLA) (Onward! Film), Montreal, Canada, 2007. Craig Anslow, James Noble, Robert Biddle, and Stuart Marshall. X3D Web Based Algorithm Animation. School of Mathematics, Statistics and Computer Science, Computer Science, Technical Report, CS-TR-07-1, 2007. Craig Anslow, Stuart Marshall, James Noble, and Robert Biddle. VET3D: A Tool for Execution Trace Web 3D Visualization. In Companion to the ACM SIGPLAN International Conference on Object-Oriented Programming, Systems, Languages, and Applications (OOPLSA), Portland, Oregon, USA, 2006. Craig Anslow, Stuart Marshall, James Noble, and Robert Biddle. Evaluating X3D For Use in Software Visualization. In Proceedings of the ACM Symposium on Software Visualization (SoftVis), Brighton, England, 2006. Craig Anslow. Escaped from the Lab: Software Practices in Large Organisations. In Proceedings of Escaped from the Lab: Software Practices in Large Organizations Workshop, at OOPSLA, Portland, Oregon, USA, 2006. Craig Anslow, Stuart Marshall, and James Noble. X3D-Earth in the Software Visualization Pipeline. In Proceedings of the X3D-Earth Technical Requirements Workshop, Naval Postgraduate School, Monterey, CA, USA, 2006. Craig Anslow, Stuart Marshall, James Noble, Kirk Jackson, Mike McGavin and Robert Biddle. Program Trace Formats for Software Visualisation. School of Mathematics, Statistics and Computer Science, Computer Science, Technical Report, CS-TR-06-1, 2006. Craig Anslow, Stuart Marshall, Robert Biddle, James Noble, and Kirk Jackson. XML Database Support for Program Trace Visualisation. In Proceedings of the Australasian Symposium on Information Visualisation (INVIS), Christchurch, New Zealand, 2004. Craig Anslow, Stuart Marshall, James Noble, and Robert Biddle. Software Visualization Tools for Component Reuse. In Proceedings of the Workshop on Method Engineering for Object-Oriented and Component-Based Development, at OOPSLA, Vancouver, Canada, 2004. Craig Anslow, Stuart Marshall, Robert Biddle, James Noble, and Kirk Jackson. Program Trace Visualisation. School of Mathematics, Statistics and Computer Science, Computer Science, Technical Report, CS-TR-04-1, 2004. Stuart Marshall, Kirk Jackson, Craig Anslow and Robert Biddle. Aspects to Visualising Reusable Components. In Proceedings of the Australasian Symposium on Information Visualisation (INVIS), Adelaide, Australia, 2003. Stuart Marshall, Kirk Jackson, Craig Anslow, and Robert Biddle. Aspects to Visualising Reusable Components. School of Mathematics, Statistics and Computer Science, Computer Science, Technical Report, CS-TR-02-29, 2002. Craig Anslow. XML Database Support for Program Trace Visualisation. (Honours Report) School of Mathematics, Statistics and Computer Science, Computer Science, Victoria University of Wellington, 2002. Learning to programme: To touch or not to touch? - Article for School of Engineering and Computer Science, November 2017. Oversized tablet is a touch of magic! - Article in Dominion Post (PhD Research), September 2012. Smarter Software - Article in Victoria University of Wellington, Alumni Magazine Victorious (PhD Research), August 2011. Bright Sparks, Dim Future? - Article in the Your Weekend Edition of Dominion Post, (PhD Research), July 2011. A Touch of Magic - Article in Victoria University of Wellington, Alumni Magazine Victorious (PhD Research), May 2011.
Business links prove beneficial - School of Engineering and Computer Science and VicLink Demonstration Day, (PhD research), October 2010. Google talent search in Wellington - New Zealand Computer Science Research Student Conference (NZCSRSC, I was General Chair), April 2010.